All of us are enjoying the class on Entrelac felted bags with Cynthia Adcock. 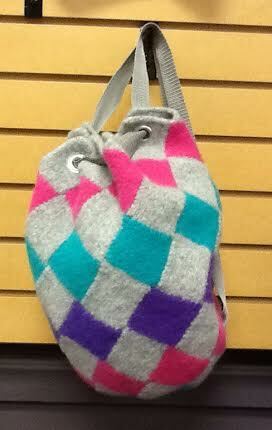 Stay posted for photos of our finished bags! Once again, Kitty shared her love of knitting with us by teaching the Dalton Gang Hoodie Class. 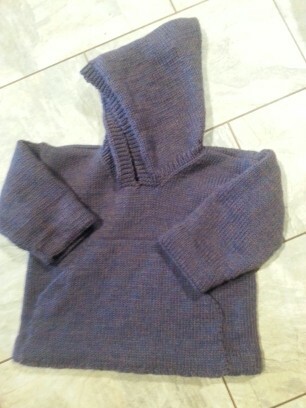 Here is a photo of my completed hoodie made for my granddaughter, Audrey, using Vintage DK yarn. Watch for photos of sweaters completed by the rest of the class.